I woke up at 5:30 simply so that I would be awake long enough that I’d want to eat before leaving the house. The thought of eating right after waking up is repulsive. I’m going to go ride my bike for a while today. 36 miles to be exact, mostly on trail. Rocky trail. I’m doing the Rothrock TrailMix race, a local MASS endurance series event that benefits the trails and youth cycling leagues in the area. It’s not like it’s a dirty century or anything, but this will be my longest ride on trail in a while. On a brand new review bike that I’ve only ridden once for a total of a whopping 7 miles. I don’t think the suspension is totally dialed in. I think the fit is, but who knows. I’ll tell you around mile 20 today. And I haven’t been riding as much lately. 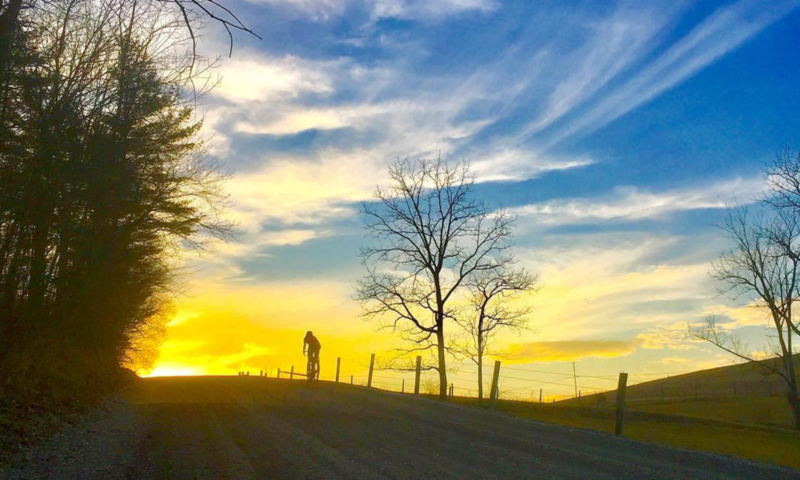 I peaked in early April, riding well over 100 miles a week for several weeks in a row, with a 50+ mile gravel ride thrown in almost every week. Then I went to Sea Otter, then there was Dirt Fest, and I didn’t get to ride at all during those weeks. My mileage has dropped off and I’ve just gotten a bit lazy. So, while everyone else has gained fitness throughout the spring, I’ve lost it. My back has been hurting all week. I don’t know if I slept on it wrong or tweaked it while riding and didn’t realize it or what happened, but I feel exponentially older than I am right now. My last but not least excuse – it’s supposed to be hot. It takes me a while each year to get used to the heat, so the first few days when the temperature spikes above 80 and I’m out doing physical activity are rough. Today might be one of them. So there you have it, all the reasons why I’m feeling pretty nervous and insecure and not particularly wanting to do this race today. But, as usual, I’m sure I’ll get out there and have a great time and I’ll be glad that I did, lack of fitness, hurty back and all. After all, it’s just a long bike ride, right? Next PostNext Late summer evenings.